Staying healthy is one of the best investments we can make. Doing what we can to stay in shape helps us avoid medical bills and missed work. But it also allows us to focus on growing our careers, nurturing our relationships and just feeling better all around. But why not break a sweat without spending a penny? YouTube hosts a growing number of workout channels that compete with your pilates instructor to bring you effective, quick, fun training sessions. And the best part is, they’re free — plus, you don’t have to leave the comfort of your living room. Stay active without paying $50+ each month for an expensive gym membership with these YouTube channels featuring awesome at-home workouts. This is my favorite place to go for quick, intense pilates workouts. 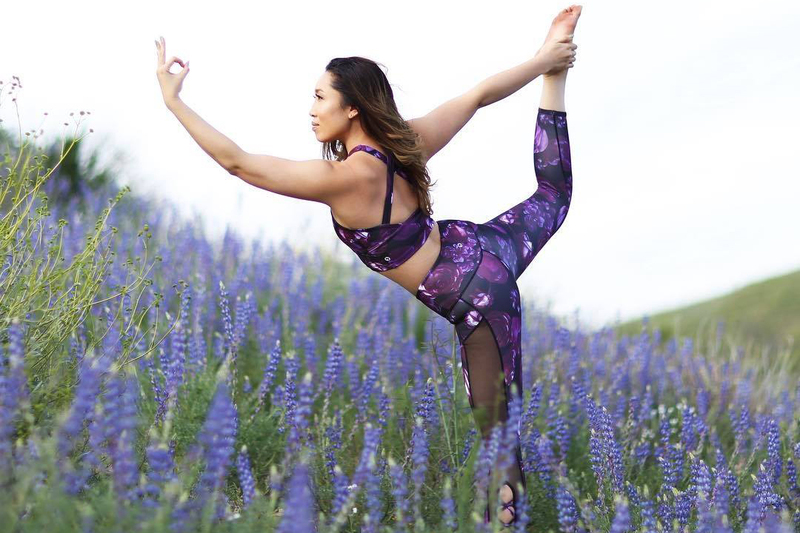 Cassey Ho is a certified fitness instructor and all-around delightful online personality. Her mix of challenging workouts and body-positive encouragement make her videos fun and effective. Earlier this year, her video “The ‘Perfect’ Body,” went viral with its message of blocking out negative messaging about outward appearance. Who’s it good for? People who like variety, appreciate an instructor with personality, and don’t have a lot of workout equipment. Top pick: I usually head to Cassey’s Angel series, which focuses on different parts of the body. The Angel Arms video will absolutely make you sore the next day, and only requires a mat and some hand weights. Visit the Blogilates website to get a workout calendar that spells out which videos to do each day for the entire month. On this channel, you’ll find options that mimic the traditional workout video feel: an instructor in front of a class. These videos have high-production quality, energizing music and celebrity instructors. You’ll find videos with stars like Jillian Michaels, Jane Fonda and Billy Blanks Jr.
Who’s it good for? Former gym lovers who miss their group workouts. These videos make you feel like you’re attending your favorite class. Top pick: Skip the DVD and go straight to YouTube for Jillian Michaels’ 30-Day Shred. It’s pretty amazing that this best-selling series is now available for free on YouTube. The video shows modified versions of the workout to adapt to your fitness level, and once you’re comfortable with this one, you can move up to Level Two. If you like your workouts with a side of dance moves, Scola is your gal. She uploads her high-energy workout videos from London, where she’s a certified personal trainer. Scola isn’t one to yell: Her main demand is you try to be better than you were yesterday. Raised in Zimbabwe, Scola sets most of her videos to fast-paced afrobeat music. Who’s it good for? Someone looking to break out of a workout rut and try something new. Even though I’m a terrible dancer, I enjoy this workout, so I wouldn’t say that dance skills are required. The important thing is to keep moving. Top pick: Afrobeat Werrrkout! I have never seen anyone enjoy themselves this much while working out. What this video lacks in production values, it makes up for with enthusiasm and a killer workout. The selection of videos on this channels is really impressive. They have more than 350 workouts to choose from, geared toward both men and women. The videos fit perfectly with the YouTube format, letting you choose which body part to focus on or select a video based on length. A companion website helps you put together a workout plan based around the FitnessBlender videos. Who’s it good for? People who are serious about getting in shape and are ready to commit to completing longer workouts. Top pick: Not for the faint of heart, the Upper Body Tabata Workout is 59 minutes of back, shoulder and arm training. This channel truly has something for everyone, from yoga to mixed martial arts. A variety of styles and levels make viewers feel welcome and comfortable. Many videos focus on those new to exercise, kids and people struggling with obesity. The videos are also filmed live to give a real picture of the workout. Who’s it good for? Pretty much everyone. If you’re just beginning an exercise regimen, this is a great place to start. The videos are unintimidating and engaging. Top pick: If you’re a beginner, try the Seated Exercise for Obesity and Limited Mobility workout. Meanwhile, the Mat Pilates video takes 45 minutes and requires no equipment besides a mat. It’s amazing how hard you can work (and how sore you can get) without lifting any weights. Your Turn: Would you consider ditching your gym membership and working out with YouTube? What are your favorite fitness channels? Lyndsee Simpson is a writer and editor living in Washington, D.C. She’s wearing her pajamas and working out on her living room rug.